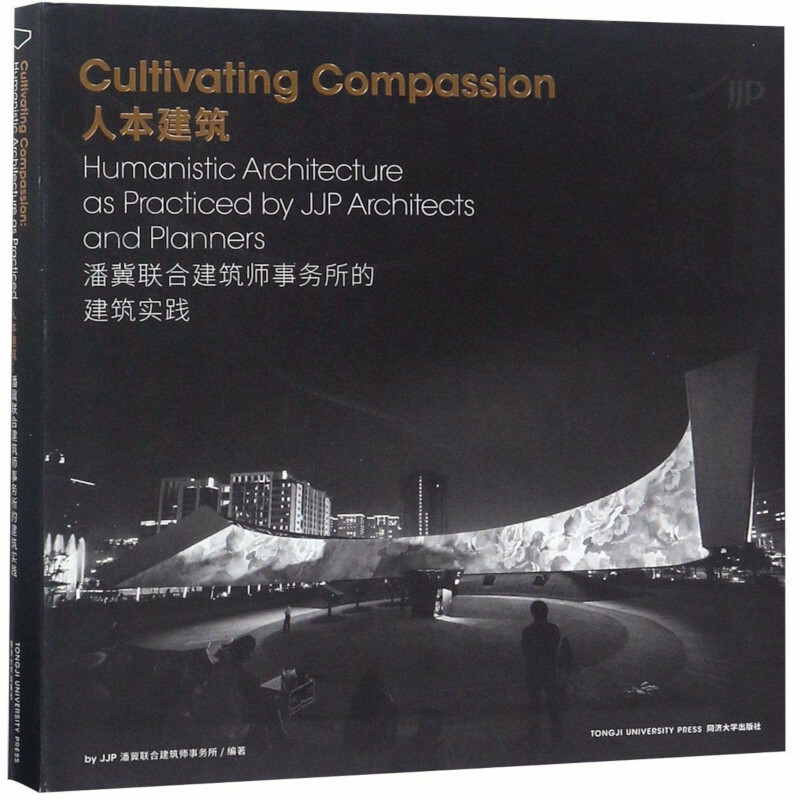 This book is a monograph of J.J. Pan and Partners. Mr. Joshua Pan, one of the few western educated Taiwanese elite architects, returned to Taiwan from the U.S. in 1976 and started J.J. Pan and Partner. Their success is originated from their maturity and confidence on their professionalism, sense of identity towards the local culture and a strong sense of social responsibility. The basic belief behind Mr. Pan’s pursuit of excellence falls on his value of harmony with nature, proper use of technologies and materials, and people–orientation. These principles not only guided JJP Architects over the past four decades but will continue to lead JJP’s future generations despite various challenges. Oscar Ko was born in Harbin, China and moved with his parents to Hong Kong at the age of five. He earned his Bachelor of Science in Architecture at the University of Michigan and Master’s from Columbia University in 2006. After spending seven years in America, he relocated to Europe where his original plan was to stay for four-five years or longer but after talking to older friends practicing in China he quickly realized that there are more opportunities in his native China. My new book, NYC Walks: Guide to New Architecture, is out today! Published by Prestel, NYC Walks collects ten architectural walking tours I've been giving for the last half-dozen years. To celebrate the release of NYC Walks I'll be in conversation with Michael Sorkin at Rizzoli Bookstore (1133 Broadway at West 26th Street) on Thursday, March 14 at 6pm. I'll be signing books after the talk. The event is free, but be sure to RSVP via this link. Join author, architect, and tour guide John Hill for a discussion with esteemed architecture critic and urbanist Michael Sorkin about his new book NYC Walks: Guide to New Architecture (Prestel, 2019). 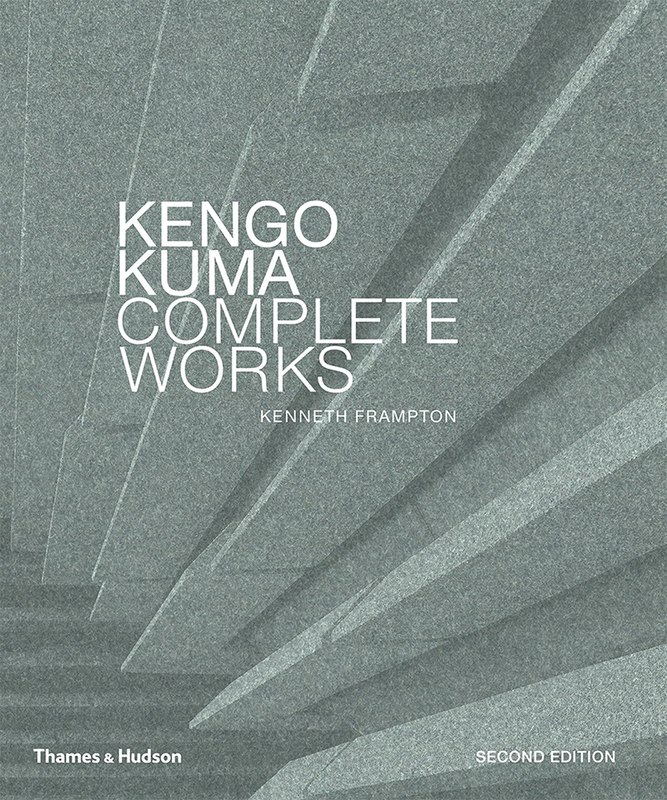 Since establishing his practice in 1990, Kengo Kuma has brought contemporary vigor to Japan’s already rich modern architectural heritage and developed projects far beyond his native country. Influenced by a period at Columbia University in New York and by the lessons of his mentor, Hiroshi Hara, Kuma has forged his own pared-back language: responsive to local nature and traditional construction, entirely contemporary in its execution, yet rooted in a Japanese sensibility. The experience of his buildings is hypnotic and highly sensory. Much of this powerful effect is achieved by Kuma’s deft, sometimes dramatic, use of materials. Projects in the past five years alone include two museums in France, landscape projects in Italy, hotels and large- scale retail and commercial projects in China, and numerous projects in Japan, including a kindergarten. 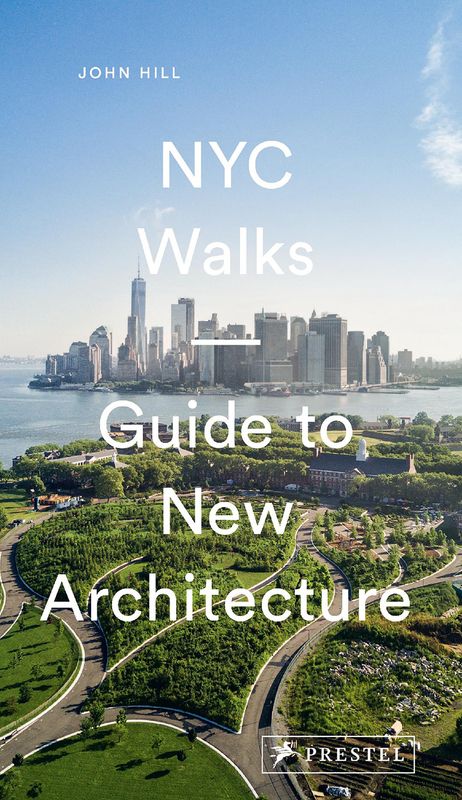 NYC Walks: Guide to New Architecture, my fifth book, is being released two weeks from today, on March 12. 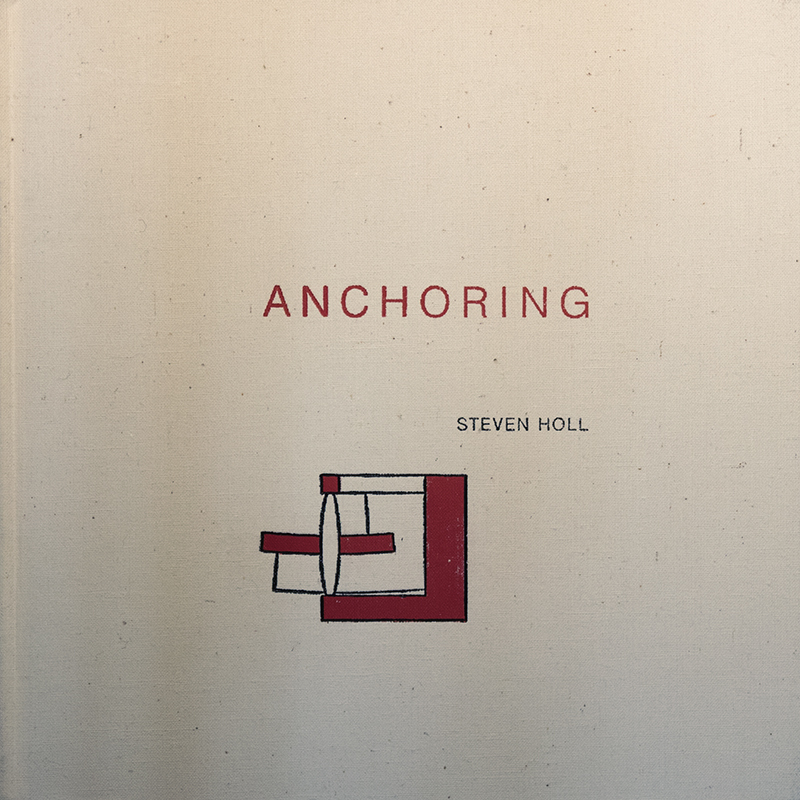 Published by Prestel, NYC Walks collects ten architectural walking tours I've been giving since my first book, Guide to Contemporary New York City Architecture (W. W. Norton), came out at the end of 2011. 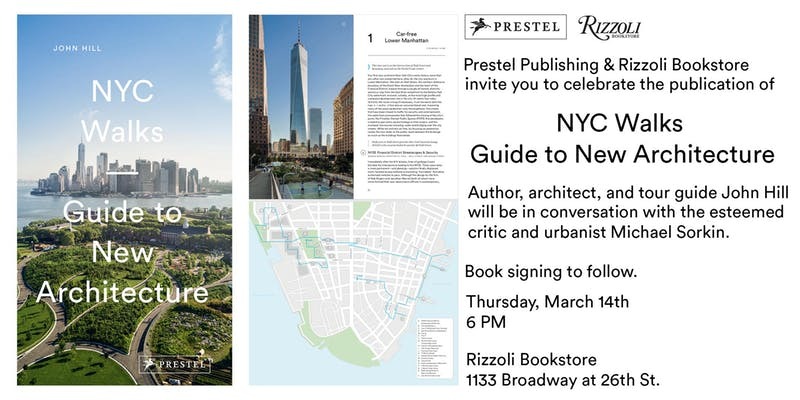 To celebrate the release of NYC Walks I'll be in conversation with Michael Sorkin at Rizzoli Bookstore (1133 Broadway at West 26th Street) on Thursday, March 14 at 6pm. I'll be signing books after the talk. It can be hard to keep up with New York City’s surge of cutting-edge architecture since the turn of the millennium. NYC Walks is a portable, easy-to-use guide to the city’s newest architectural gems, all completed in the 21st century with some still under construction. The Anarchitecture group show at the fabled 112 Greene Street gallery – an artistic epicenter of New York’s downtown scene in the 1970s – in March 1974 has been the subject of an enduring discussion, despite a complete lack of documentation about it. Anarchitecture, a collective challenging all conventional understandings of architecture, has become a foundational myth, but one that remains to be properly understood. 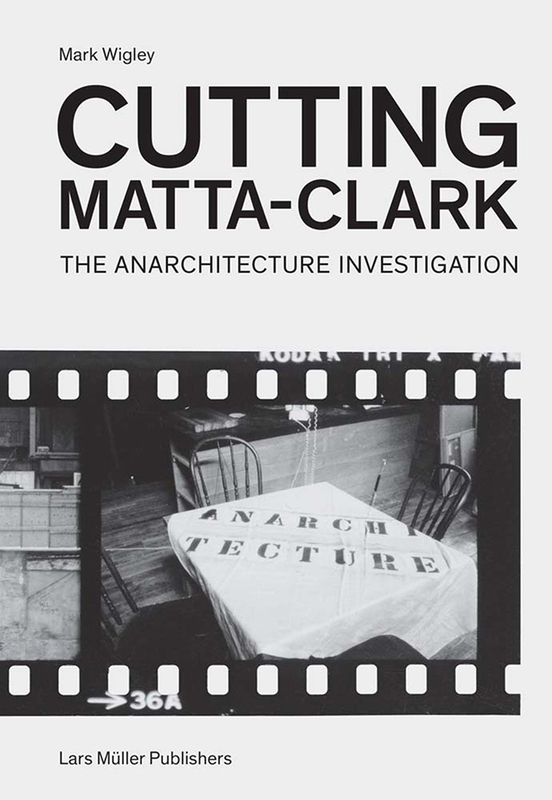 Cutting Matta-Clark investigates the group through extensive interviews with the protagonists and a dossier of all the available evidence. Stemming from a series of meetings, organized by Gordon Matta-Clark and reflecting his long-standing interest in architecture, the Anarchitecture exhibition was conceived as an anonymous group statement in photographs about the intersection of art and building. But did it actually happen? It exists only through oblique archival traces and the memories of the participants. 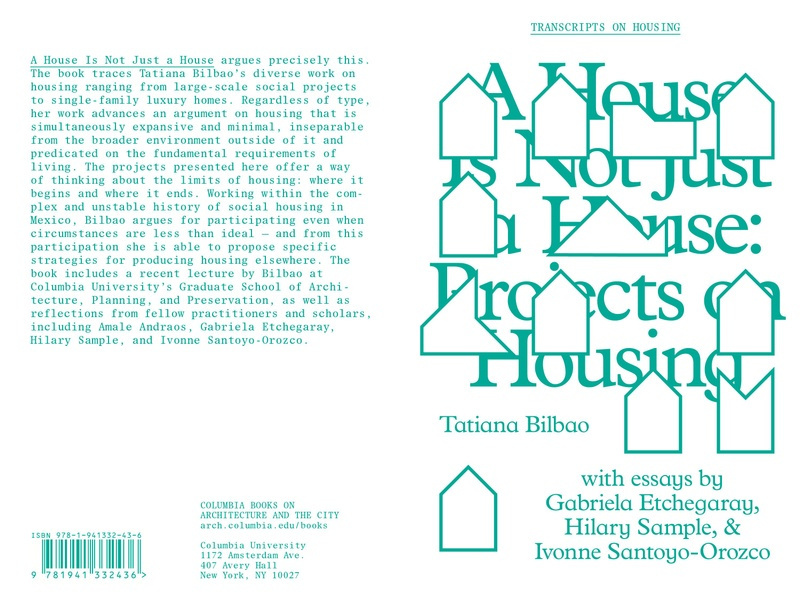 The book includes a recent lecture by Bilbao at Columbia University’s Graduate School of Architecture, Planning, and Preservation, as well as reflections from fellow practitioners and scholars, including Amale Andraos, Gabriela Etchegaray, Hilary Sample, and Ivonne Santoyo-Orozco. There are at least as many definitions of architecture as there are architects or people who comment on the practice of it. While some embrace it as art, others defend architecture’s seminal social responsibility as its most definitive attribute. To begin a sentence with “Architecture is” is a bold step into treacherous territory. And yet, many of us have uttered — or at least thought— “Architecture is…” while we’ve toiled away on an important project, or reflected on why we’ve chosen this professional path. Most days, architecture is a tough practice; on others, it is wonderfully satisfying. Perhaps, though, most importantly, architecture is accommodating and inherently open to possibility. This collection of statements illustrates the changing breadth of architecture’s significance; we may define it differently when talking among peers, or adjust our statements for outsiders. A note: In an age that is particularly enamored with capturing ideas in 140 characters or less, it is tempting to take these remarks out of context. Yet many are part of a larger, nuanced conversation. Sources and/or context are included for each definition.